If your vision is clouded by cataracts, you may actually be losing the ability to see the very things, places, and people that make life enjoyable. Fortunately, cataract surgery can help you regain what you’ve lost, both in terms of your vision and quality of life. 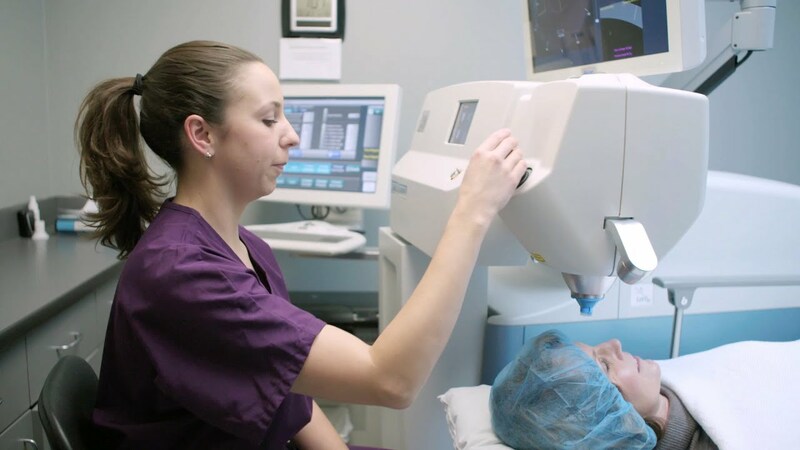 While traditional cataract surgery is very effective, modern advancements in laser technology have given cataract patients an even more precise option. Grossnickle Eye Center offers patients the option to have their procedure using LenSx®. This bladeless, computer-controlled cataract laser performs several of the most critical steps with an image-guided femtosecond laser—one of the most advanced devices of its kind. Performing surgery with LenSx® is considered a precise and accurate procedure that can literally change your life and ensure that you’ll be able to enjoy the things that matter the most for years to come. You can move forward and enjoy your new vision with confidence that you’ve chosen the most advanced technology available. At Grossnickle Eye Center, you will receive mild sedation and topical anesthetic drops. The LenSx® laser, using a high-repetition rate femtosecond laser source, is applied to make the surgical incisions and to break apart the old, cloudy lens. An intraocular replacement lens (IOL) then takes the old lens. You will be awake throughout and experience little or no discomfort. The entire procedure takes less than 15 minutes. After surgery, you will receive complete instructions from the nursing staff. You will be examined the following day, and may then resume normal activity, generally without restriction. Follow-up appointments with your optometrist for further examination and new glasses may be scheduled as appropriate. How do I know if laser cataract surgery is right for me? When you see one of our surgeons for an evaluation of your cataract, they will discuss many aspects of your eye health. Your surgeon will recommend a mode of cataract surgery and best IOL to implant based on your general health and the kind of vision you want to enjoy for the rest of your life.